It is a travesty when great films go unnoticed or get barley any recognition. With the advent of streaming this happens a lot, but sometimes you luck out and catch those would be loss to time films and think "everyone needs to see this now." That is what I Am Not a Serial Killer is, a fantastic film that needs to be had by all right now. John Wayne Cleaver (Max Records) is a high school student with an unhealthy obsession with serial killers. His only friend is his older neighbor, Crowley (Christopher Lloyd), and his family runs the only mortuary and funeral home in town. After the town begins to experience a series of brutal murders, John believes that they have a serial killer on their hands. Using his sociopathic tendencies as a compass he tracks down the killer only to find that the killer is far more than what meets the eye. The casting of Christopher Lloyd and Max Records is fantastic. 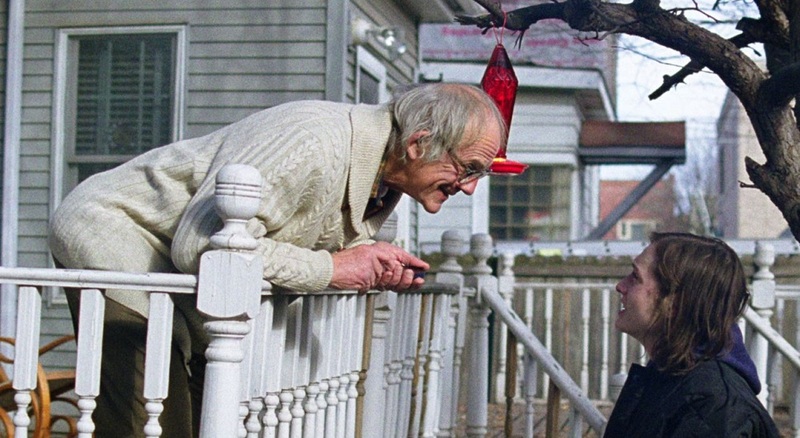 Max give a performance that is a perfect blend between Macaulay Culkin's Henry in The Good Son and Michael Baldwin's Mike from Phantasm (79). His ability to toe the line of likeable crazy and unlikable creepy gets you invested in the character of John instantly. Christopher Lloyd, though, comes in and delivers a performance that you will see very rarely in a lifetime, downright pure excellence. Lloyd has more range in his left hand than over 90% of Hollywood and this is the film that highlights that astounding gift. The score of the film is amazing and will stick with you long after the movie in an iconic way. The main theme is on par with the greatest themes of cinema history. Psycho, Nightmare on Elm St., Halloween, F13, Phantasm and now I Am Not a Serial Killer sits comfortably on that list. I Am Not a Serial Killer is so good that it is a crime not to see it. From astounding performances to a haunting score that will only become more iconic over time, this is a classic in the making. This is a must watch for any fan of the horror genre and those who enjoy a genuinely good film.